At Great Finishes Inc, our goal is to always provide the best customer service possible. 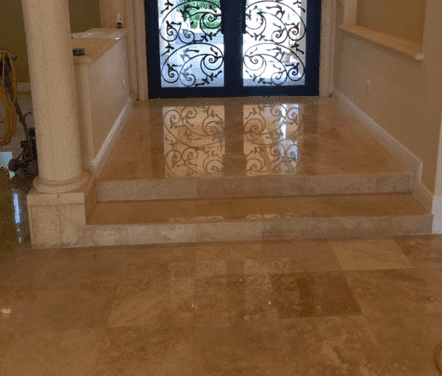 We use state of the art equipment and products for the highest quality Marble and Travertine restoration and refinishing. Our customer service is unbeatable. Each and every project is done by trained, experienced professionals. We bring true craftsmanship and pride to every project. From floors, counter tops, baths, interior, and exterior our restoration services are available for all of your natural stone surfaces.